Don't miss this 8 time Olivier Award nominee! This stunning new work by Conor McPherson is accompanied by the songs of Bob Dylan. The Girl from the North Country tickets are available now. Starring Sheila Atim (Marianne Laine), Ron Cook (Dr. Walker), Bronagh Gallagher (Mrs Burke), Shirley Henderson (Elizabeth Laine), Ciarán Hinds (Nick Laine), Claudia Jolly (Katherine Draper), Arinzé Kene (Joe Scott), Debbie Kurup (Mrs Neilsen), Jim Norton (Mr Perry), Sam Reid (Gene Laine), Michael Shaeffer (Reverend Marlowe), Jack Shalloo (Elias Burke) and Stanley Townsend (Mr Burke). 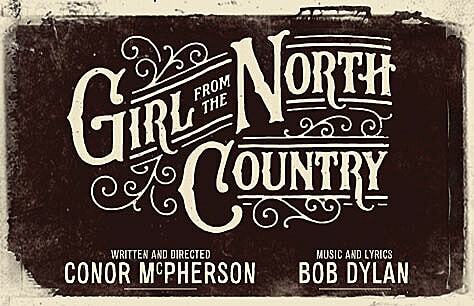 Book your The Girl from the North Country tickets now! Please note this play contains some moderate use of strong language and adult themes. Latecomers can only be admitted at 7 minutes and 25 minutes into the performance otherwise admittance is not possible. brilliant singing, all the cast. story a but weak but who cares? Absolutely loved it and seen 4 times both at The Old Vic and then and Noel Coward Theatre. Brilliant.